Let us know what you need and we will develop a plan for you. If you aren’t sure what you need, we can work in phases to evolve with you. As a standard practice, all websites we design are responsive, which means they will adapt to any device or screen size. 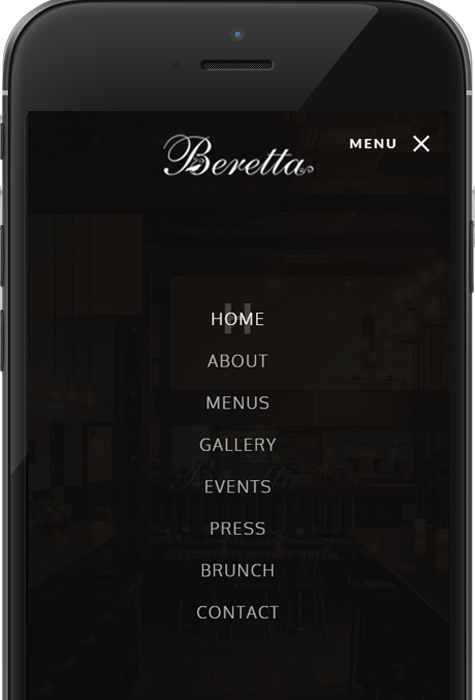 For instance menu items are adjusted for mobile devices to become large enough to touch with your finger without needing to zoom in. The architecture we use to build websites is flexible enough to include endless features. Take a look at the list below to understand just some of the features available to make your site robust and relevant. Leverage our other services to enhance the aesthetics with rich photography and graphics that impress far more than clip-art. We work with local photographers that are hand-selected to match your price-point and the subject of work. Collaboration is seamless and billing is consolidated. Perhaps you need a new logo? Maybe a complex process is better conveyed as a diagram. We source talent to address these needs; the output can be used on the web, print or any other medium. Websites require ongoing support and can be complemented with ancillary services for a unified marketing approach. Let us design and deploy email campaigns to keep your customer base engaged and informed. With our web design services you’ll have access to standard analytics, but we can also build you custom dashboards and provide insight to better address your customers’ needs. We can design banners or develop targeting to ensure you reach the right demographics across the right platforms. We can keep your website running smoothly, secure, and up-to-date. We will make any requested updates, fix bugs, backup data, and serve as your technical representatives.